Why rent when you can own!!! 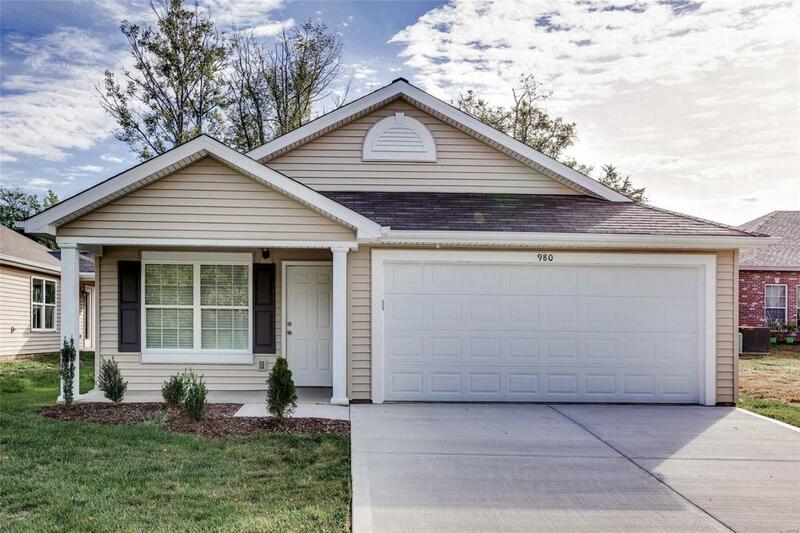 This newly constructed home is just minutes from I-44. This beautiful home is available at a NEWLY REDUCED PRICE through an Inventory Reduction Sale - making way for new models Significant discounts, yet full of options. Attractive, stylish & efficient - the kitchen presents a peninsula style breakfast bar & full pantry. The open floor plan is accented by large windows for lots of natural lighting & vaulted ceilings. A wide center hallway, no step entry & large main level laundry room add to the convenience of this home. Features include a master suite, large walk in closets, panel doors accented by brushed nickel hardware with coordinating light fixtures & fans! Opportunity exists for a den, office or recreation room with the divided floor plan! Level yard backs to woods & common ground such privacy! Coming soon - a 10 x 10 private patio - great entertainment area. MOVE IN READY TOO! Open Daily by appointment for private showings!